So I have a wonderful, old, handwritten, from scratch recipe for Gingerbread cake that I love, but this is not it. 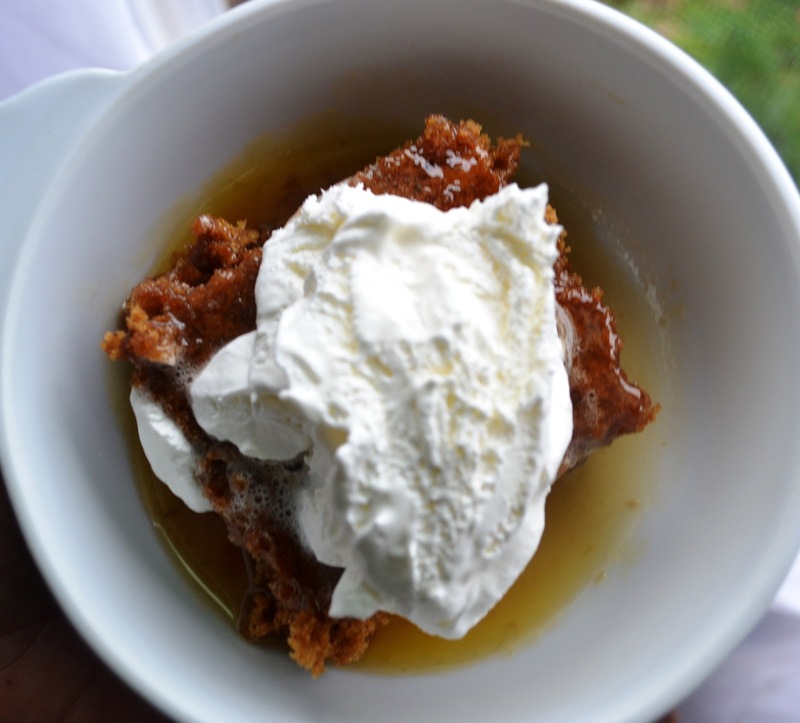 This is equally wonderful, and starts out with an easy mix for gingerbread cookies. We don't eat many sweets at my house, but once in a while on Sunday afternoons, I like to make something. This is a great idea to go to when you need something quick or unexpected. 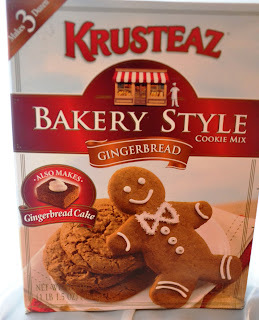 If you know me, I am all about not buying too many convenience mixes, if you already have the ingredients and can make it yourself fast and cheap, but the one thing I usually do is go ahead and pick up a few of those one time a year holiday/seasonal baking mixes for things such as pumpkin bread or gingerbread cookies. They are perfect to go to for making a treat for a neighbor or making muffins or cakes for your family on the fly. Today I am using a box of Krusteasz brand gingerbread cookie mix. In case you are wondering, I am not being paid by them, (they have no idea who I even am!) Don't let the name of my cake fool you, it is way more gingerbread than pumpkin in flavor, but the pumpkin adds a moistness to the cake that I must insist you try! I am tweaking the alternate cake recipe on the box just a bit. Lightly grease a 9 in. x 13 in. cake pan. In mixing bowl, blend all ingredients together until moistened. Pour cake mix in cake pan and bake 23-27 minutes or until toothpick inserted into center comes out clean. 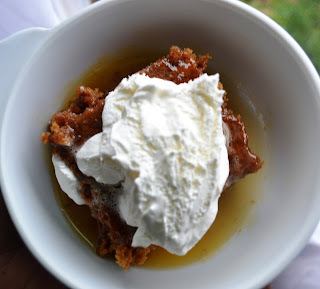 Optional: About 10 minutes before serving, make up a batch of my butter rum sauce. 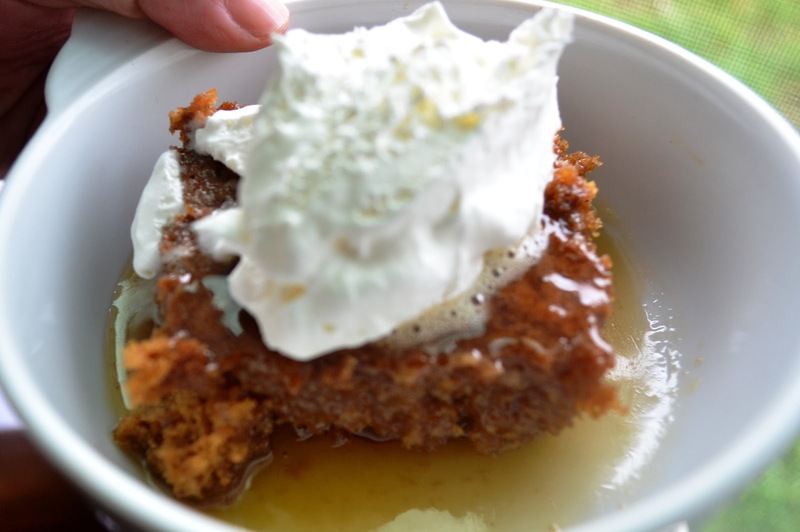 Serve a drizzle of butter rum sauce over cake prior to a plop of whip cream topping.